Proof of life after death for normal people. If you paid attention in school, you should be able to comprehend the following information, which could be the most useful information you will ever find. The survivors of Hiroshima and Nagasaki retain their memories of their lives prior to the bomb being dropped. It can be proven that if memory were stored chemically within the brain, the survivors would have had their memories erased. When a nuclear bomb is detonated, it produces a powerful electromagnetic effect called electromagnetic pulse (EMP). This pulse will generate a large inductive voltage in any electroreactive material present within up to 200 miles (and much further) of ground zero, with modern multi-megaton bombs. The EMP produced by a modern 10 megaton nuclear bomb can and will permanently destroy unshielded transistors up to 100 miles from ground zero, sometimes at a much greater range. It does this by inducing a large and powerful voltage inside the transistor. This generated voltage potential causes a mass physical migration of the positive and negative ions that separate the transistor into its normal positive and negative areas. This migration is permanent. The ions do not return to their original locations after the EMP pulse has passed. A silicon transistor is nothing more than two diodes placed back to back. A silicon diode is composed of three areas, a positively doped area, a negatively doped area, and a neutral area in between these two areas. Doping refers to the introduction of impurities into the silicon, positively or negatively charged ions that fit into the crystal structure of the silicon and give the area they are located in either a slight positive or a slight negative potential. This potential can either impede or assist the flow of electrons across the diode. There are many exotic variations on this basic arrangement, but this is the basic mechanism that allows a diode to control the flow of electricity. Normally, in operation, a diode is used to permit the flow of electricity through the diode in only one direction, and not in the other. When the applied voltage is greater than the positive or negative charge present in the diode, the barrier to the flow of electricity is broken down, and the current can flow in the opposite direction. This is normally referred to as the breakdown voltage of the diode, and is a direct function of the amount of doping impurity materials present within the diode. A self sustaining charge arrangement of diodes can be created by placing a number of diodes in the proper physical or electrical order that allows a binary bit of information to be stored. This arrangement is commonly used in computer RAM (memory), and is known as a flip-flop. This arrangement can be made with 4 transistors and four diodes, or 12 diodes. Under perfect conditions, this could be implemented with as few as 12 times 24 molecules, each diode being comprised of 24 molecules. (It is not likely man will ever be able to accomplish this degree of miniaturization). Normally, in a diode, the positive and negative molecules have a physical and electrical attraction for each other, and would migrate physically towards each other if the forces bonding them in place were not more powerful. However, if enough voltage is applied, the total attractive force becomes stronger than the molecular bonds, and the doping molecules will physically migrate towards each other, from the ends of the diode towards the center. Are there equivalents of diodes or transistors present in the brain? If human memory is stored chemically, this would have to be very likely. Just your visual memories created and stored during the first few seconds of life would fill all available memory storage, if memory were stored one visual element per neuron. It has been demonstrated that only 80 billion neurons in the brain are associated with higher intellectual functions. All the rest are dedicated to sensory and control functions. The minimum possible resolution of the human eye is known to be about 1.2 billion individual pixels of information every second. In your eyes are structures called rods and cones. There are 200 million of these in each eye. However, it is known that the brain only processes a tenth of this resolution at any given moment. This is still a continuous input of 40 million bits of information. The frame rate in television and movies known to fool the eye into believing it is witnessing a continuous picture rather than a series of successive frames is 30 frames per second. So, the minimum possible resolution of human eyesight is 40 million times 30, or 1.2 billion individual bits of information every second. This is why the eye or the mind is capable of being able to appreciate the difference in picture quality between a computer monitor at 16 million colors and 64 million colors, but cannot tell the difference between (actual, not average) framerates of 30 frames per second and 60 frames per second in computer games. It has been proven that a neuron can fire at a maximum rate of 14 times per second. It has been proven that a neuron's pulse (firing) voltage and pulse duration do not vary measurably between firing to firing or neuron to neuron. A neuron always fires at 60 millivolts, and the pulse duration is 70 milliseconds. Therefore, it has been seen that neurons do not communicate based on varying voltage modulation of the fired pulses, and they do not communicate based on pulse duration modulation. Therefore, the number of pulses during a given time frame and / or the spacing between the pulses, and the geometry of the pathways the pulses are directed upon can be the only significant modulation patterns in interneuron communications. At any rate, it can be seen that there are not enough neurons or pulses present in the human brain to store more than 133.3 seconds of visual memory, (assuming that the memory is stored in 50 percent resolution), if this memory were to be stored one bit of data per neuron or per pulse. It can be made obvious, that if memory were stored chemically, then large numbers of individual memory elements would have to be stored on each of a large number of neurons. If you are 35, then (1,200,000,000 (visual input per second) times 60 seconds times 60 minutes times 24 hours times 365 days times 35 years) divided by 2 (because you sleep and you blink) = 6.62256e+17 individual image elements to be stored in memory. Divide this by the 80 billion available neurons, and we see that there would be 8,278,200 individual elements to be stored on each of the 80 billion neurons, if the memory were stored chemically, and were evenly distributed upon the neurons. If the memory is stored in one half the resolution it was perceived in, then this is 4,139,100 elements chemically stored within each of the 80 billion neurons. This is only the visual memory element storage of a 35 year old human. There are still other forms of sensory data to be stored, such as hearing and tactile memories, and the results of intellectual reasoning processes and emotions, which must, at the very least, approach the visual storage requirements. People's dreams can seem almost real sometimes, or there would be no recollections of waking up sweating from fear. However, most of us know that even if we are experiencing a nightmare, we still know it is only a dream, and can wake up if we need to. These facts are a strong indicator that your visual memories must be stored in at least half the resolution they were originally perceived in. It cannot be proven one way or another what the precise resolution might be, but this is a realistic estimate. It has been seen in experiments that 60 year old people have been placed under the influence of powerful hypnotic drugs like sodium pentathol, and recalled word for word a book they had read when they were ten years old as if they held the book in their hands. Now if memory were stored chemically, it has to be stored as a positive or negative charge, somewhere within an array or matrix of chemical molecules within the neurons. This can be no other way, since charge is the basic interactive element of any chemical interaction. Whether this storage chemically resembles diodes or transistors or flip flops or not, the charge storage function or action of this chemical array has to be identical to the operation of a flip flop circuit. This is to say that a diode controls the flow of current, and can be made to store an electromagnetic charge because of the interactions of applied voltages and the electrochemical properties of the diode. Any electrochemical method of storing and accessing an electric or electromagnetic charge by definition must possess the same basic electrochemical properties of a miniature diode, that is, positively and a negatively charged areas that are used to directly control the flow of applied energy. No matter what the physical or chemical makeup of the storage mechanism of the supposed molecular arrays inside the neurons, the functionality must be identical. The actual details and molecular geometry involved would be entirely irrelevant, since we know that the memory, if stored chemically, has to be stored as either a positive or negative chemical potential, or a combination of positive and negative potentials. If this were not true, the memory could not be said to be stored chemically. Any chemical arrangement capable of storing a potential charge by definition must utilize a combination of positive and negative charge elements (ions: atoms or molecules) in close physical proximity. In any such arrangement, if a large enough voltage is applied or inducted, it will overcome the physical limitations of the chemical bonds and allow the migration of positive ions to negatively charged areas, and negative ions to positively charged areas. 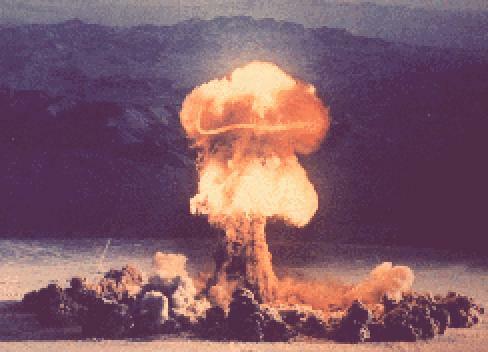 Both of the atomic bombs dropped on Japan were in the 10 kiloton range. Bombs of this size produce EMP which is capable of permanently destroying diodes and transistors at a range of 10 miles for ground zero. The survivors of Hiroshima and Nagasaki were exposed to 10,000 times as much EMP voltage and current as a transistor would be exposed to at a distance of 10 miles. It can be shown that any chemical structures possessing a positive or negative charge potential would be migrated 10,000 times faster than the rate of migration of the ions in a transistor at a range of 10 miles. If memory were stored chemically, then there can be no question that the survivors of Hiroshima and Nagasaki would have had their memories erased or damaged beyond any possible usefulness when the bomb was detonated, yet the survivors show no such signs of damage. Given these facts, it is absurd to consider that memory could be stored chemically. What does this say about life after death? When you die, the only change that occurs in the universe is chemical change. There is no impact on any of the other forces known to man, the strong force, the weak force, or the electromagnetic force (although given Hiroshima and Nagasaki, NMRI machines, or 10 million watt television transmitters, there is no realistic chance that memory could be stored on the electromagnetic force). And the question arises, what has kept your memories alive all these years? Another question that arises is, where is your 'soul' or 'spirit' stored? Your memories are not stored chemically, but your spirit doesn't seem to have any difficulty accessing them... Is it likely that your spirit is stored chemically? Obviously, a force besides the electromagnetic force or the weak force stores gravity. This has to be either gravity or the strong force. This force is capable of storing memory, so why would it be incapable of storing your 'soul'? Look at it this way. Your 'soul' can send requests for information to extract memories out of the storage force. Because of this, the 'soul' must by definition be more closely aligned with this force rather than the electromagnetic or weak force, because it must traverse that force to retrieve the memory. It cannot know in advance what memory to retrieve, or the memory would have to be stored chemically for the soul to be aware of the existence of the memory in question. If psychic or empathic capabilities can be demonstrated, that proves that the force has to be gravity. If such cannot be demonstrated, then the force could either be gravity or the strong force, although gravity is still the more likely candidate, because of its immense range and force as compared to the strong force. If memory were stored on the strong force, that would also prove life after death, but the fact is that a single atom cannot process and store all the visual memory passed down the optic nerve. The minimum possible resolution of the human eye is known to be about 1.2 billion individual pixels of information every second. A single atom cannot process and store this much information, since the chemical geometry that would be required is a physical impossibility. The above disproves all of the forces known to man that could be the medium upon which memory is stored, except the force of gravity. Not only must your memories be stored upon gravity, but your spirit or soul or whatever you want to call it, also must be, or Hiroshima and Nagasaki would have produced nothing but survivors who were all in a permanent coma. Either during or after your existence, you will never do anything that changes the gravitational constant of the universe in any way. The gravity of the Earth will not increase nor decrease while you are alive, unless you launch something into space at high speed that never returns. There was no change in gravity when you were conceived or born, and there will be no change in gravity when you die. So, considering, what has kept your memories alive for as long as you have been alive? Considering that gravity does not change in the slightest when you die, and considering the field effect properties of gravity, if you die when you are 20, your spirit and your memories are certain to persist for at least another 100 years, because people have lived to be 120 years old and retained their memories. This only constitutes scientific proof of life after death, not proof of eternal life. Proof of eternal life is beyond the capabilities of science. It is a proven fact that the range of the gravitational force of a single energy packet that makes up an atom (a proton, neutron, or electron) is at least the distance between here and the center of the galaxy. Astronomers have proven this beyond any doubt. If one adds a single atom to the earth, it increases the total gravity of the earth, and the diameter of the moon's orbit is decreased ever so slightly in size. The moon moves closer to the earth, ever so slightly, because the gravity of the earth, attempting to pull the moon down out of orbit, is ever so slightly stronger than it had been. If you weigh 180 pounds here on the earth, and you go to the moon, on the same scale you would weigh 30 pounds. This is because the moon has only one sixth the atomic mass, and therefore one sixth the gravitational force, of the earth. There is only one force keeping the moon in orbit around the earth, and that is gravity. If the moon's forward speed through space increased enough, the moon would overcome the pull of the earth's gravity and permanently leave orbit. If the moon slowed down enough, it would fall out of the sky and land on the earth. The reason the moon orbits the earth is that the forward linear speed of the moon is equal in energy to the force of the gravity of the earth trying to capture it. Since these two forces are equal, the moon orbits the earth rather than traveling in a straight line through space as it would do otherwise. If the gravity of the earth increased or decreased enough, it would have the same effect, the moon would either fall on the earth or escape. None of these facts are in dispute. Science proved these facts beyond doubt many decades ago. If one adds a single atom to the sun, it will ever so slightly decrease the diameter of the orbit of every planet in this solar system. If one adds a single atom to the center of the galaxy, it will ever so slightly decrease the diameter of the orbit of every solar system in the galaxy. None of these facts are in dispute, either. It takes light, traveling as it does at 186,000 miles per second, about a tenth of a second to cross the diameter of the earth. It takes about 1/2 second to get from the earth to the moon. It takes light 8 minutes and 1 seconds to get from the sun to the earth. It takes light 25,000 years to get from the center of the galaxy to the earth. In case you didn't realize it, there are about 100 billion suns in this galaxy, and each one orbits the center of the galaxy. Our sun completes one orbit in about 250,000 years. At this time, our sun and the entire solar system is moving with respectable speed in the general direction of the constellation Sagittarius. Light exhibits both a particle effect and a wave effect. Like light, gravity exhibits at least two different properties. Gravity exhibits both a particle attraction force effect and a unified field effect. The first is obvious, and the unified field effect means that from a distance, a large number of single sources of gravity appear and behave as if they were a single large source. If someone drops a rock in China, and you are in Iowa, the atoms in your brain were about as much responsible for the fact that the rock fell, and in determining the speed at which the rock fell, as any other atom possessed by the earth. The gravitational force of every proton, neutron, and electron of every atom you possess is present at the moon, the sun, the nearest star, and the center of the galaxy. None of this is theory, it is all proven fact, generated decades ago by other people. My only contribution to it is the proof of life after death. When you were conceived and born, there was no change in the gravitational force of the earth. When you die, there will again be no change whatsoever in the gravity of the earth. Your existence will never have changed the number of protons, neutrons, or electrons present on the earth, and therefore will not have changed the gravitational force of the earth, unless you make atomic bombs or launch spacecraft, or certain other activities during your lifetime. So, what has kept your memories alive, stored on gravity as they have to be, for as many years as you've been alive? The individual parts of your atoms, protons, neutrons, and electrons, existed billions of years before you were born, and will still be around billions of years after you die. The same can be said of the gravity associated with those energy packets. You notice how I have carefully avoided using the term 'particles' in describing atoms, protons, neutrons, and electrons? There is a good reason for this. Einstein was right when he said energy equals mass, and mathematically proved it. However, Einstein could have made it easier to follow along and easier to visualize, if he had said instead, 'energy IS mass'. This is the fact of the matter. To say that energy equals mass implies that energy and mass are two different things, when in fact they are not. That this is true is known, proven, and accepted. There is nothing solid or particulate about protons, neutrons, or electrons. In reality, the universe is composed of at least a 3 dimensional volume of energy and force. There is, technically, very little 'solid' about the universe. A sheet of paper is actually nothing more than a sheet of energy. In fact, since carbon fusion is far more intense than hydrogen fusion, there is enough energy in an average sheet of paper to nuke a town with a population of 1000, leaving no survivors. The only thing 'solid' in the universe is the bond between positive and negative energy fields (protons and electrons). Protons and electrons are not solid, and they are not particles. They are packets of positive and negative energy. A good example for the purposes of explanation is the magnetic component of the electromagnetic force. I could put a large magnet up side your head, and attach another one to a baseball bat, and attempt to use your head to hit a home run. If the north polarity of both magnets faced outwards, you could easily get knocked out by the impact, but in fact the magnets would never have physically touched one another, and the bat would never have contacted your head. In fact, there would have been no physical contact whatsoever. It would feel pretty solid though. From your point of view it would be no different than Hank Aaron hitting you up side the head with a baseball bat, without magnets being involved in any way. You can push one magnet across a table with another magnet, with no physical contact whatsoever. The bonds between positive and negative energies in an atom is about the same type of attraction / repulsion force, and it is this force itself that makes atoms behave as if they were solid particles. This is known and proven, and there is no dispute about this. The universe is composed of a 3 (or greater) dimensional construct of gravity, much as a steel casting is composed of a 3 dimensional construct of energy. At the very least, your spirit and memories will live on for the length of time gravity can store memory and spirit, possibly for as long as the energy associated with that gravity exists. Of course, this is entirely based on the theory that gravity is an aspect of energy or mass. It could well be that energy or mass is only an aspect of gravity. Considering the vast range of gravity, this is actually the more appropriate description. In that case, given that gravity can store memory and spirit at all, considering the immense volume of the sphere of gravity's range, it isn't likely at all that there should be short or small limitations in gravity's storage capacity. If one considers energy or mass as a byproduct or aspect of gravity, the sheer immense size of a single gravitational singularity should more than indicate that gravity's storage capabilities are similarly immense. The stage upon which one's dreams get played out on, is also almost certainly a stage of gravity, although there is likely no way to prove this. This means that one can create a reality and exist in it, using gravity as the medium. What are the odds that this will change after you die, considering that there is no change in gravity whatsoever when you die? One other thing: Old people do not lose their memories. The demands of the failing physical body become so great that the brain lacks the resources to interface one's will adequately; the primary survival processes take precedence, and in this situation use an inordinate amount of the brain's physical resources. The same can be said of brain injuries. A stroke victim has some of their chemical control matrix destroyed. They remember how to walk, but the chemical pathways involved have been destroyed. They can sometimes relearn the skill, if alternate unused chemical pathways exist. One more other thing: Religious fanatics. I say there is no single God, no Satan or evil entity, and no hell that lasts until the end of time. I say the Buddhists are the closest to being correct about the specifics of spiritual reality, except that they believe that you can screw up spiritually in the next life. The Bible says life appeared first on land, then in the ocean. Fact says life appeared first in the ocean, then on land. You don't see pillar of salt museums. One would think that every so often, although most people knew better, someone would screw up spiritually, and then we'd all see the tow truck on the six o'clock news hauling the pillar of salt off to the pillar of salt museum. I have no problem with anyone believing anything they want. In Africa, there are still areas where one celebrates one's 16th birthday by letting a cow take a leak on them. To each his own. I follow fact, where possible. Where facts disagree with opinion, I always choose to follow the facts rather than the opinion. OK, so it isn't scientific proof. It actually only establishes an almost absolute certainty, where it would be absurd to consider that I was mistaken. Scientific fact requires empirical evidence, and the only way you can get this evidence is to die. I tried to produce numbers, for example the frequency distribution and the number of x-ray photons per cubic millimeter per nanosecond the atomic bomb survivors were exposed to, but the data is too hard to find. Then I realized I didn't need these numbers, because the computer corruption analogy is bulletproof, as is the fact that the survivors did sustain greater than 1 percent damage. Ignorant people do ignorant things and think in ignorant ways.